Carol England, HSVMA's Program Manager, is a born and raised Washingtonian, animal lover and Art History Major from the University of Maryland. 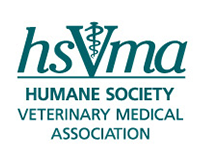 Supporting the Chief Science Officer of the Humane Society of the United States for the past 10 years, she recently joined the HSVMA team to assist with Webinars, both live and archived, assisting with membership advocacy, and becoming the Secretary of the HSVMA Board of Directors. Carol supports the Warrior Canine Connection, primarily located in Maryland, an organization that trains Golden Retrievers and Labrador Retrievers to be “that” partner to ex-military personnel arriving home from the battlefield who need help, both mentally and physically. Carol lives in North Potomac, Maryland with her “pet” husband, Pete, high school sweethearts, they are!